Welcome, Margaret! Tell us a little about yourself. How did you get started writing? I was a storyteller before I started writing. Though I don’t remember how old I was when I told my first tale, I was famous for my creepy ghost stories and a space fantasy serial, if that’s the proper term for a told tale rather than a written one. When I’m not writing, I’m likely to do any of a large list of things including talking philosophy with my adult boys, playing video games, or coloring in coloring books. And reading, of course. What is one thing that would surprise us? Despite my being a keyboard jockey, you might be surprised to know I have a collection of fountain pens, mostly gifts or yard sale items, but the turquoise ink I prefer is hard to find. A complicated question. According to my records, I have completed 35 novels, but most are still in the editing process with one or two requiring top to bottom rewrites. 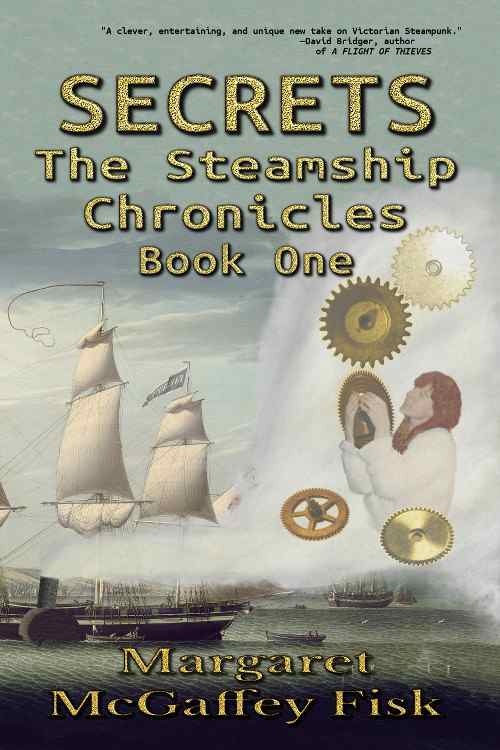 The Steamship Chronicles starts with Secrets, and also has Threats and Gifts available to round out the first major arc. Life and Law will be released this year to begin the second major story line for the series and follows the story of the main characters in Safe Haven, a prequel to the series as a whole. Seeds Among the Stars is my science fiction adventure series and has two novels already published, Shafter and Trainee, with Apprentice due out this year. There’s also an eBook-only shorter work, The Captain’s Chair, set in the same universe. My third series, Uncommon Lords and Ladies, is sweet Regency romance with three titles already released: Beneath the Mask, A Country Masquerade, and An Innocent Secret. What genre is The Steamship Chronicles series and what is it about? 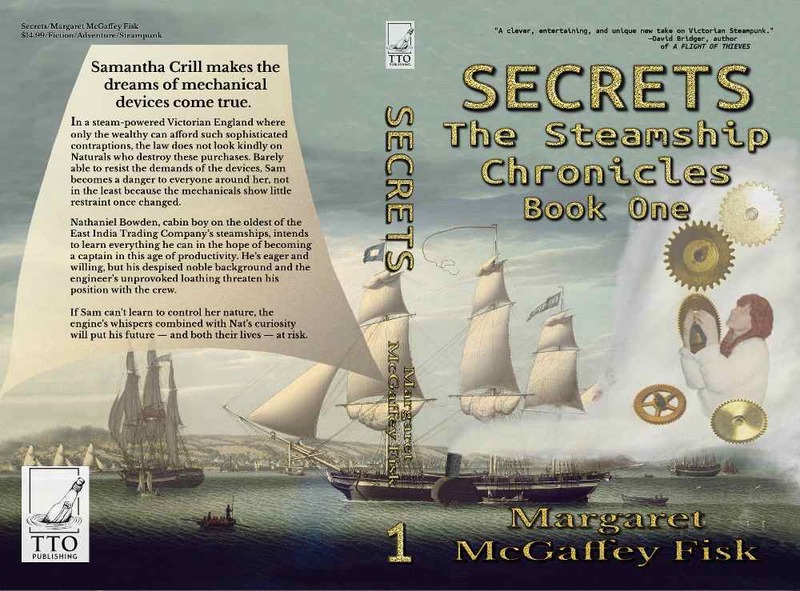 Secrets begins a steampunk adventure that explores the treatment of difference as Samantha Crill tries to find a place where her unusual knack for hearing the desires of semi-sentient mechanical devices is not a crime. She is able to use a hitherto unknown element of aether to make those desires come true. The laws of her native England condemn all with her trait as criminals from the moment the ability manifests, forcing families to harbour fugitives, or sacrifice their siblings or children to the law. Her older sister Lily has been hiding Sam ever since the first signs, but rumors of safe havens for Naturals, as those with this trait are called, send Sam off on an adventure where her abilities make an already difficult journey harder, but she meets up with good souls like Nathaniel Bowden, a cabin boy with big dreams, and discovers more than just her family can see beyond the horrifying tales to the real person. The tale has tense moments when disaster looms as well as joyous times. It is a story about acceptance and discovery. I have been reading steampunk since before the genre was named and classified. It’s the perfect junction of mechanical devices and social questions. I never really planned on writing a novel within the genre until Sam appeared one day and started whispering in my ear. I like to look at societies, law, and traditions, exploring the impact of decisions often made with valid logic or intentions that harm those without a voice. Culture clash is somewhat my area as I grew up seeing many examples of the same both in the countries where my parents were stationed and once we returned to the United States. While Sam’s very nature puts her in opposition to those with the wealth to purchase these devices in the first place, there have been many examples in history and even today where people are segregated not for their own actions, but because of what others believe they will do if given the chance. We cannot learn to open our hearts and eyes to this if we remain ignorant, and stories like Sam’s have the potential to do more than just entertain, though she and Nat seem to do the last well enough to delight my readers. That’s a good question. To be honest, it was a struggle. When I first started writing Secrets, it and the next two books (and two more to follow later) were all one book called The Natural. However, when I got to where Secrets ends, I realized The Natural was a series rather than a single work. I moved the series title to The Natural Chronicles, but when I got some feedback, no one knew what a Natural was so it didn’t carry any weight. The steamship plays a major part in the first volume of the series (books 1-3), is a shadow over the second volume, and once again a major player in the third volume. Not only that, but it carries with it a sense of steampunk even though my world lacks the dirigibles that are commonly used as steampunk markers…well, at least it does for now. From that came the first three titles of Secrets, Threats, and Gifts because each is a stage in the journey Sam and Nat share. The first is simple: Sam is a fugitive under the law. She has to keep her nature a secret because she doesn’t believe she can trust anyone. The other two have clear meanings as well, but I won’t spoil the surprise. The cover art for Secrets is a complex story. At the time, I wasn’t able to purchase cover art as I’ve done for some of my other books, and I have an artistic bent plus a strong vision of what I wanted for this cover. That’s not to say it is all my own work though. The base painting is The Ship “Favorite” Maneuvering Off Greenock, 1819 by Robert Salmon courtesy of the National Gallery of Art, Washington. I looked through countless paintings of ships from that period, searching for one that had the right feel, was in a good position, and would allow me to make alterations. As it was, the resolution available for commercial use was too small for my cover and part of the agreement prevented scaling the painting any higher. To solve that problem, I extended the sky and duplicated the edge ships on the back cover to extend the width without changing resolution. The additions beyond the back cover text sail are the paddlewheel and smokestack because none of the available paintings were of steam/sail combo ships, the figure in the smoke, and the gears. I created the smokestack and paddlewheel using real steam and sail ships as guidelines. 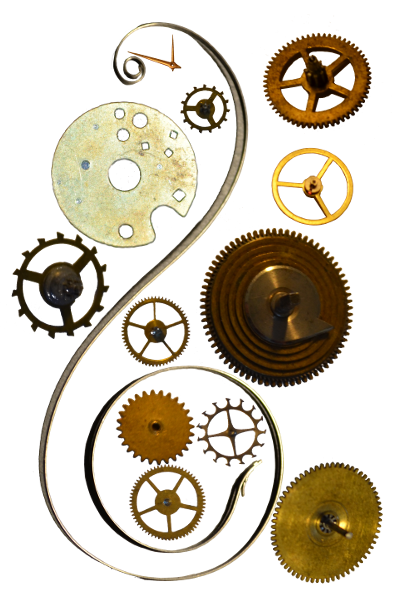 The gears are from my collection of clockworks. My husband usually confines his photography to nature, but in this case, he made an exception and gave me a number of gear images to play with. The figure is an old photograph of my younger sister because it fit my image of Sam, and she was happy to volunteer. The hard part was finding a picture that worked, especially with the arm position right. I’m still happy with how it all came together. This is not a question I can answer. Finding the right combination of looks and personality is something I’d happily leave to the professionals with the hope they remain true to the story. While I enjoy movies with actors in the right age range, I experience movies as stories so don’t disconnect from the story to recognize actors outside of it. This becomes quite amusing when I recognize someone but cannot place them until later. That’s how I know who is very skilled because the features match but the character is so different they don’t seem to be the same person. Marion Zimmer Bradley and Anne McCaffery were the first to inspire me and are probably the reason I write anthropological science fiction. I didn’t recognize how strongly Jane Austen and Charles Dickens influenced me, though, until I started writing in their period for both the social conventions and the extreme difference between the wealthy and those who haunt the streets. However, those same elements show up in my other novels as well. 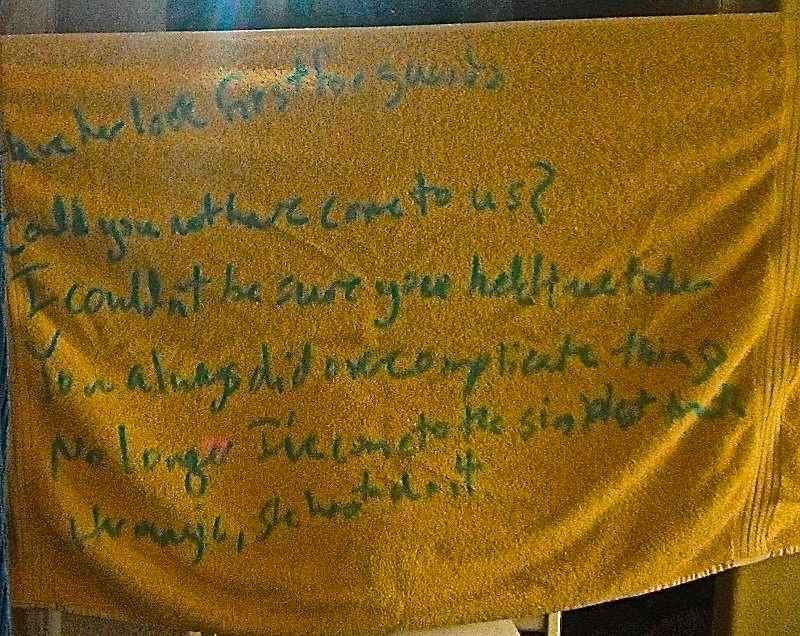 I’ve actually given up on this writing habit, but probably the strangest thing I did was use wipe-off markers to write story notes on the bathroom mirrors. I have a bad habit of figuring something out just as I’m headed for bed and then forgetting it once I wake up. To avoid that, I crafted a solution, but not a convenient one. You can’t exactly pick up the mirror and take it into your study, while pictures of mirror writing are hard to read. Since getting a smart phone, I type my notes into that instead. A much more useful solution. Neither and both. I call myself an organized organic. I do outline, but my outlines are more narrative summary. The main thing about them is that they are written both in and out of chronological/story order and then sorted into story order. They fall into the pantsing style, but because they’re outline blurbs rather than text (a thin line when some are up to 800 words and include dialogue and character movements), it isn’t usually considered such. That said, I have pantsed many novels since I started writing, and every once in a while I still do it, but the writing is easier when I do the narrative outline, even if what happens in the outline doesn’t always end up in the book. The hardest scenes for me to write are those in the antagonist’s perspective regardless of type, but that depends on the book. I become my characters when they hold the POV, and some of those heads are very hard to be inside, whatever they are doing. So far I’ve only published my lighter novels (though they have some dark moments as do some of my published short stories), but I’ve written both long and short works with moments of true darkness. Wow, that’s a very hard question. They all are favorites for different reasons. I love Nat and Sam. They share with me a love of adventure, as well as the determination to both do the right thing and not settle for less than they deserve. Mr. Trupt, the first mate, is just such a wonderful person between the way he commands the crew’s loyalty, guides each of them to being a better version of themselves, and is understanding when necessary. The somewhat villain of the piece is the engineer, Mr. Garth, but while he’s certainly at the heart of most of Nat’s troubles, once I learned why, it all made sense though I still didn’t prefer his methods. As to the least, I’d have to stretch as those who come to mind have only cameos: The father on the docks who couldn’t spare a minute to help his son and the sailors who accost Sam at one point would certainly fall into the category of hard scenes if I had to be in their heads. They were bad enough to view from the outside. Though she’s only present in the beginning of Secrets, there is also Kate, the lady’s maid, who is unwilling to see beyond her prejudice against Naturals no matter what Sam does. Her only saving grace is how much she cares for Lily. I will say Kate has a much bigger role to play in Life and Law, though she still never claims the POV. Yes, I read my reviews. I might learn something from them, whether good or bad, and I’m not willing to miss the chance to see my story through my readers’ eyes. I do not respond to them in most cases because if the readers wanted to talk to me, they’re welcome to pop by my site and either comment on a post (if relevant) or use the “contact me” page. I cannot assume the review is a wish to start a conversation, whatever it says. As to how to deal with them, there’s this concept of the reader’s 50%. No matter what I wrote, what a reader reviews is half my work and half what it triggered within them. I talk on my blog about perception and how it differs even to the point of a single word. I do my best to convey my vision, but if the reader has a firm connection with something, it will overwrite everything I put in. A bad review (or even a good one) might have that issue or might point to something I can do better, or even what my readers were hoping would be there that wasn’t, offering fodder for future works. The difference between a review and a critique is I cannot ask for clarification if I don’t understand, but in neither case should I argue. The reviewer speaks to their own experience and nothing more…or less. Learn from it and move on. If you can’t do that, don’t read your reviews. Doing so will cause more harm than good. Writing reviews is wonderful, but not everyone is comfortable doing that. If you enjoy my books, tell your friends and family about them. Word of mouth is the single most important element in a book finding its readership. I’m currently editing Life and Law, book 4 of The Steamship Chronicles. This is a bit of a sideways move for the series because we’re leaving Nat and Sam behind for a bit in favor of Lily and Henry (Sam’s sister and husband). Sam is present in spirit, but there are questions to be answered in what she left behind. The sum total of these two volumes will bring us to the final volume of the series, though there are many other stories to write in the world, both with these and other characters, once the last volume is complete. …I can’t believe the amazing support I have received by fellow authors. When I first reached out on the Web, I discovered Forward Motion, the brainchild of Holly Lisle who has since passed it to Lazette Gifford. This is an online community of writers of almost every genre with challenges, classes, assistance, and discussion that helped me refine my writing and try many genres and stories I otherwise might not have. Besides, I’ve met many authors I enjoy reading and many who have become friends through Forward Motion. This thing called time. There is never enough of it. I’m a bit of an oddball. The majority of the time, I dress normally to write, the same way I did when working in an office. On the rare occasions I’m dragged out of sleep to write something down, I’ll put on a robe over my night clothes, and sometimes I’ll stay in slippers over real shoes, but generally preparing for a day in the “office” helps me focus on it as work time. I have cats. I’ve had cats for most of my life except when I was in school. I’ve always wanted a bird, but the ones I want you have to know who will inherit them because they outlive us, and lizards and snakes but my mother wouldn’t let me and then I had young kids. Who knows, though. Someday, I might have a full-grown iguana wandering through the house palling around with the cats. Dark chocolate hands down. It’s not cloyingly sweet, it offers a touch of caffeine, and it goes well with both nuts and seeds, making it remotely healthy, which is not even considering all the beneficial properties they’ve discovered in the past few years. I could even go so far as to call it good for me…in so many ways. I would like to edit all of my novels and get them out to my readers. This should be doable, but it’s also a “one step forward, two steps back” process because I’ve been writing between three and five new novels each year. My scars are many as I was a bit of a dare devil growing up, but though I’ve fallen off many cliffs and at least one roof, the most amusing of my scars are the small one at my hairline on my forehead and at my hairline on the back of my head. Why are they amusing? Well, both of them came from falling down the same flight of wood stairs…on my birthday. That doesn’t seem significant until you realize they were from two separate birthdays (my second and third, I believe). Makes you wonder just what was on my mind to make me so clumsy. I suspect chocolate cake is the culprit. Margaret McGaffey Fisk is a storyteller who explores tales across genres and worlds. Raised in the Foreign Service where she developed a love for anthropology, she has been a data entry clerk, veterinary tech, editor, support engineer, and programmer, among other roles. 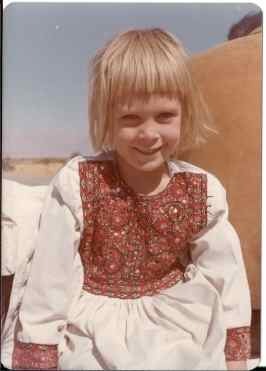 She pulls on her studies and experiences to give depth to the cultures and people that form the heart of her stories. Her 15 published works fall into science fiction, steampunk, young adult, fantasy, and historical romance. 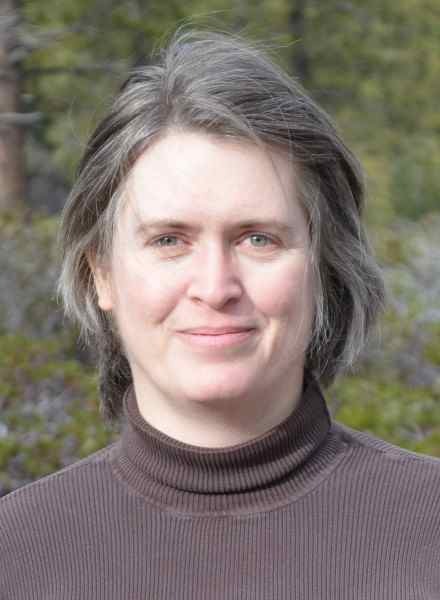 You can visit margaretmcgaffeyfisk.com, her publisher’s website, and her list of interviews to learn more about Margaret and her work. You can also find her at Facebook, Twitter, Amazon, Goodreads and her blog. ← Win a Signed Copy!